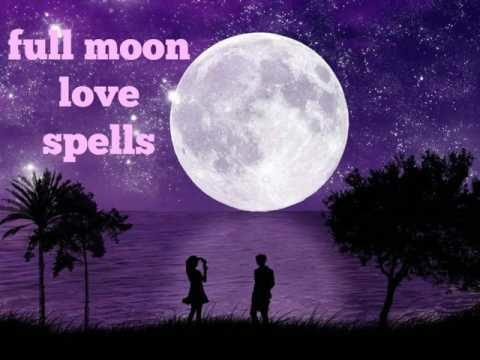 You can apply this spell to someone you like, and you're not sure about his feelings. This way, the full Moon's energy will make him feel your emotions and try to contact you. You need a moonstone, often used in love rituals, a silver bowl, and red rose petals. Put the candle on the window so that the Moon illuminates it. Imagine a person who you like and kiss the crystal. Drop it into a bowl, cover it with rose petals, and leave it for a week. In that period, the spell should work. Perhaps this person will text you, or send you a friendship request, or you'll meet him somewhere, and start a conversation. Everything is possible when you believe. This is one of the easiest love spells. It requires only one object that belongs to your loved one. It can be something personal, like the pen, keys, picture or a piece of wardrobe. Take nine candles, and create a circle of them. Place a personal item of your loved one in the center. All this should be done under the full Moon. Light up the candles clockwise, and after the short thinking about your ex-lover, repeat the next chant seven times: "Dear Moon, you have an insight into the hearts of those who are in love, awaken " NANE OF X" feelings towards me, and become our life long protector."